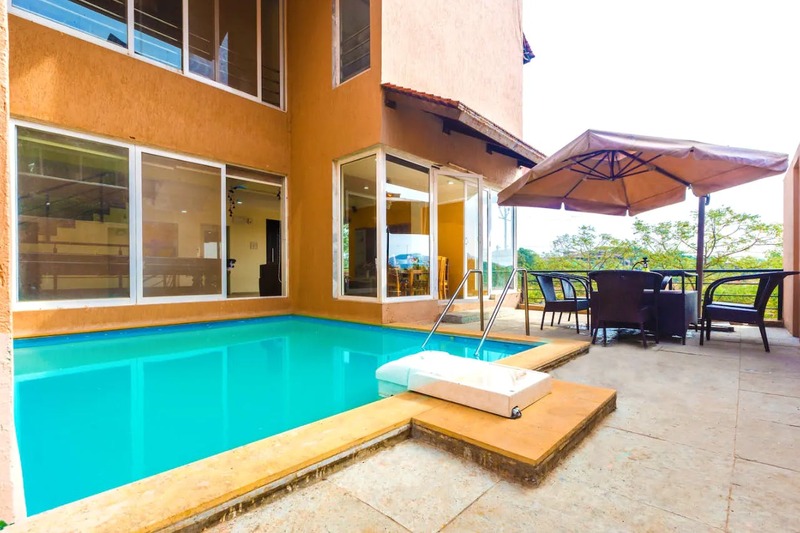 Located amidst the valleys of Lonavala, we found a pretty villa that offers you a spectacular mountain view and is secluded, for those of us who’ve just wanted to get away from it all. Serene and secluded, Ophelia villa is chock-full of modern amenities and has something for everybody. The 3BHK villa has a private pool, a private lawn and even a glass terrace area to sit out on and enjoy all that’s around you. The living room opens up to the pool area, that offers a great view. You also have the choice of other indoor games like playing cards and carrom, and outdoor games like cricket and badminton, if you’re a part of a large group. The villa can accommodate up to 20 guests, and even has an elevator in case older people are accompanying you. Make sure you carry mosquito repellents and your bathing suits when you head out. Apart from that, we recommend that you book the place in advance as it’s popular during the season. But otherwise, take some time off from work and just disconnect at Ophelia villa.